In this article I’d like to say a few words about the two new-comers announced and assess their prospects on the market. 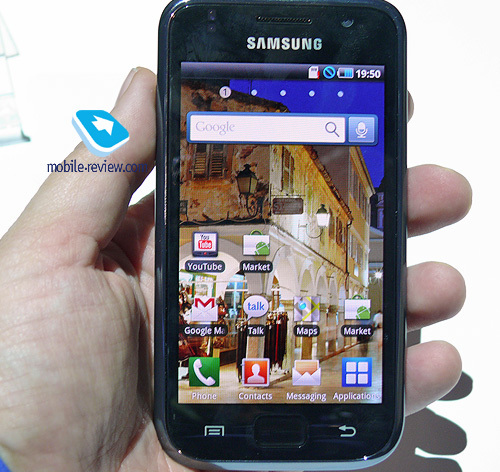 So this article is dedicated to HTC EVO 4G and Samsung Galaxy S.
According to preliminary information the new Android-flagship by Samsung will be available for purchase in Europe and in Russia as well in summer of 2010. 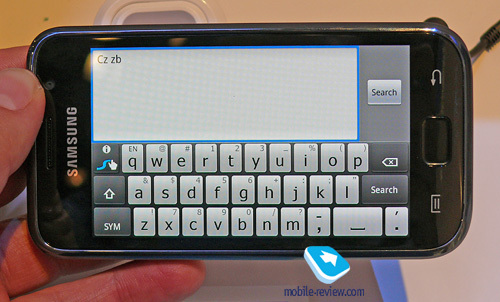 The device comes in a candybar form-factor with a large touchscreen and a minimal number of keys. There can be a lot of arguing about the device appearance, as for me in terms of design the Galaxy S has nothing special, it is quite simple, but that simplicity can do a benefit. The device with a typical, customary design will not cause displeasure, it may not appeal to someone due to its simplicity, but taking into account its other tramps the design won’t be a crucial factor that can prevent the customer from buying the Galaxy S. To put it simple, unsophisticated appearance of the "S" is more likely to be the positive side rather than a negative one. 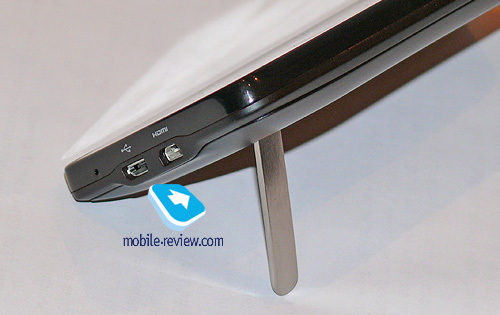 Some concern is caused by the glossy surface and, thus, the easily-soiled battery cover, but, again, that is the design feature typical for Samsung-branded devices. In terms of controls the company, like HTC and many other manufacturers, sticks to fashionable trends, unfortunately. 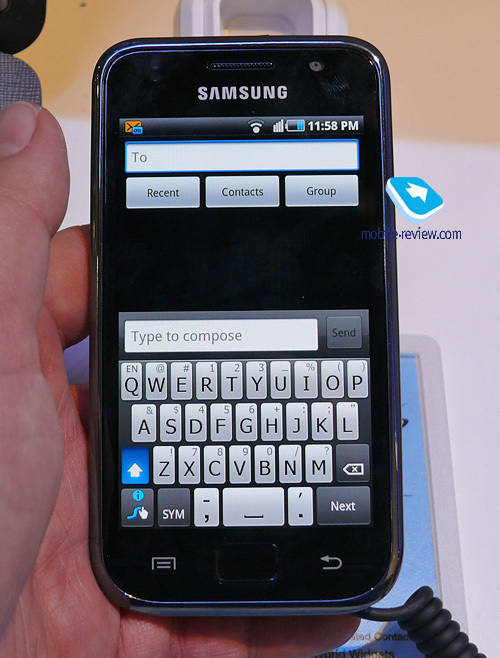 Ultimately we get the following picture: the Galaxy S is deprived of joystick and trackball (it seems to be a key in the center below the screen), it lacks call receive/reject keys, like in Google Nexus and Apple iPhone, these keys are replaced by their on-screen analogues. 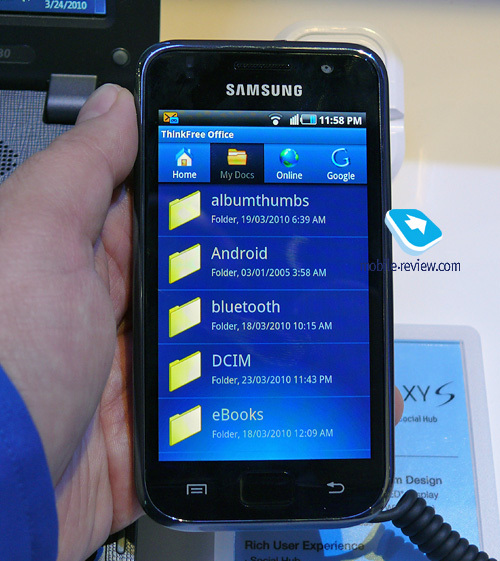 Technically-wise the Galaxy S is one of the best Android-based devices available in the market. Dimensions and weight: 122,4 x 64,2 x 10 mm, weight 118 gram. Samsung is completely shifting to Super AMOLED-screens in its high-end smartphones, the Galaxy S is the first robin among Android-devices. As for the capabilities claimed we can mention Bluetooth 3.0 and the presence of a docking station, connection to which allows using the Galaxy S as the photo frame, player, table clock, etc. 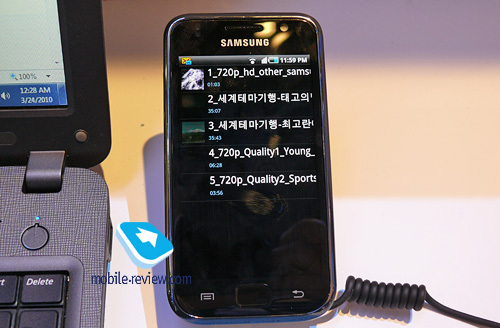 The device performance should be sufficient to playback the video in high quality, up to 720p. 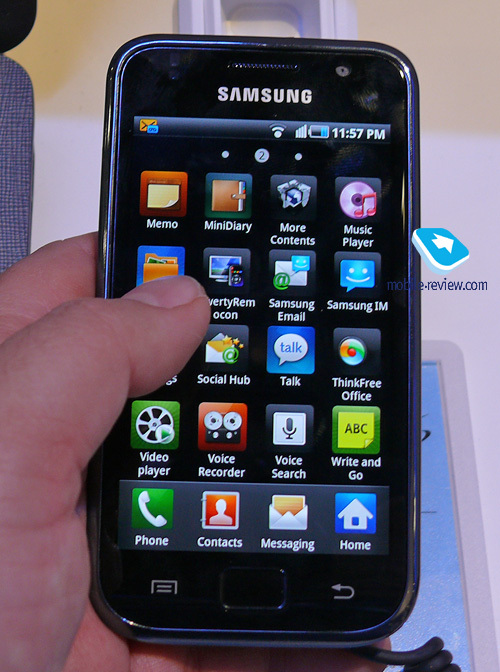 One of Galaxy’s S strong sides, in addition to performance, is the built-in support of most common audio and video formats. Just for fun take a look at this item in the specifications above. Audio department can boast a vast number of formats including OGG and FLAC; in video section, above all, divx, xvid codec support and mky container are included. To my opinion, this is a very significant advantage over competitors, in fact, the Galaxy S - is a multimedia combine the work with which cannot be spoiled by insufficient software and codec support at decent hardware. The phone has both. 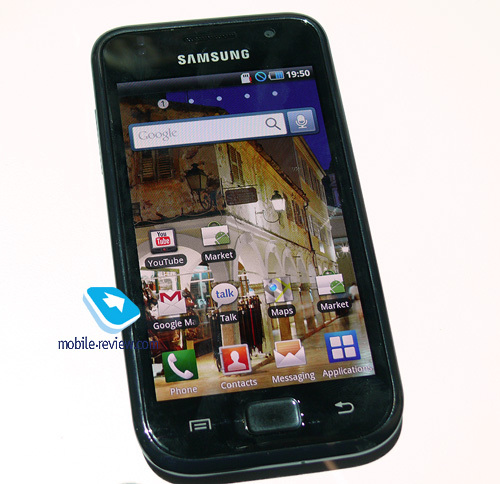 Samsung Galaxy S is to arrive in the market in summer; in Russia this deadline may vary a little, but until now there is no such information, as well as there are no data concerning the smartphone’s price. Should we look at the starting price for Samsung i8000 on Windows Mobile (and the Galaxy S, known as i9000, whose position in the line of Android-devices is similar to that of the i8000), we will see that the price makes up about 30 000 rubles. 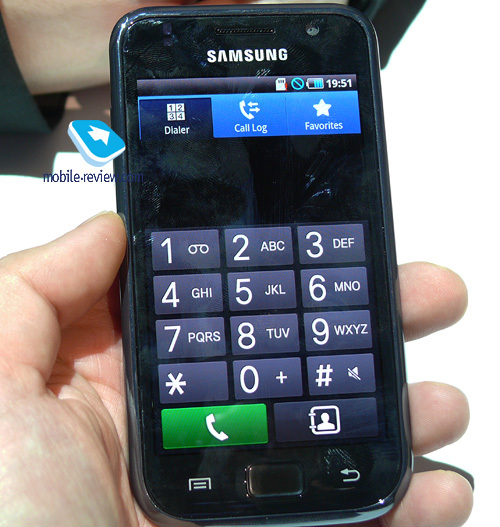 It is reasonable to assume that initially the Galaxy S will come at a similar price of about 32 000 rubles. The device is promising, though, by and large, Samsung needs such a flagship as the i9000, in order to "flex its muscles’, rather than for sales, but given the paltry number of Android-based smartphones even at its very high price the Galaxy S will be interesting. 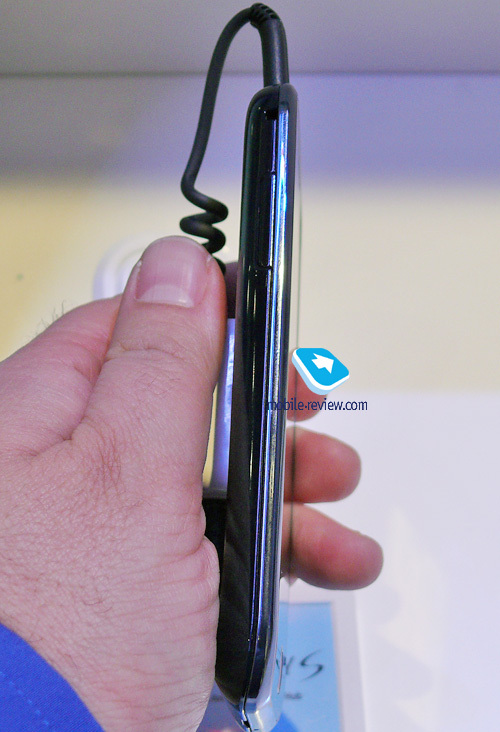 As for me, Samsung Galaxy S has, above all, a very significant tramp - the support of a huge number of audio and video codecs, and one significant minus – the handset design does not suit the 32-tousand-rubles-flagship. One more flagship among Android-devices is the smartphone by HTC, presented at the CTIA. 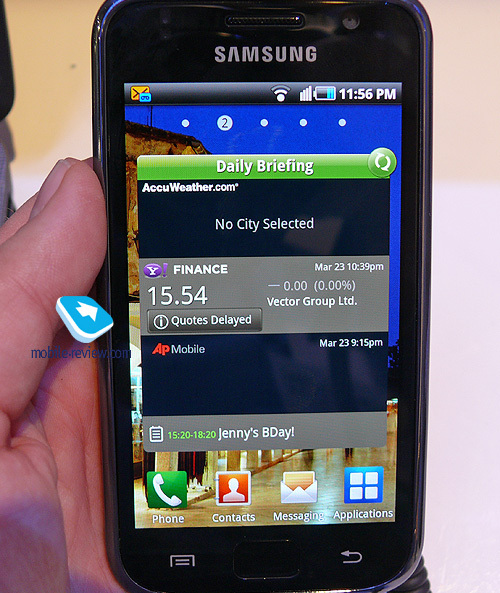 The device is designed exclusively for the U.S. operator Sprint. Yet. 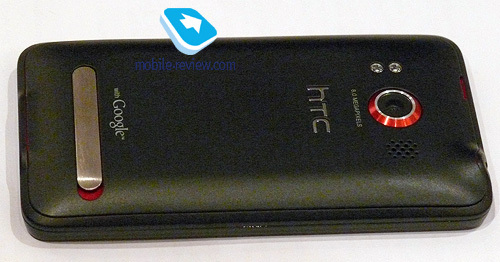 What is HTC EVO 4G? In terms of appearance it is almost a full twin of the HD2, technically-wise the two are also very similar. EVO’s Design will surely appeal to the HD2 fans - the big screen that is the base for the whole appearance. Someone calls such devices a shovel, and someone like them; in any case, it is a matter of taste. In contrast to the HD2 EVO’s battery cover is made of plastic, that is matte soft-touch plastic, the lower part of the cover houses a "leg" to set the device on a table or any flat surface. Useful stuff, if you want to watch a movie somewhere on the way as it is not a comfortable thing to hold the device in your hands for two hours. I think it is possible to find some other applications for the “leg”. 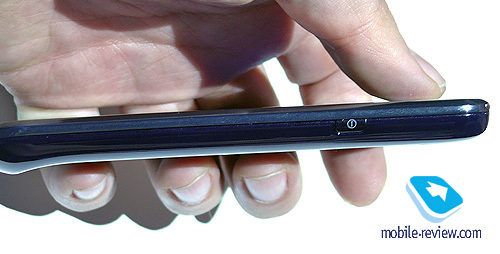 The EVO has two red insets - the rim around the camera, the space under the "leg" and the speaker’s grill. Such an interesting solution slightly dilutes the overall severity of the device appearance. 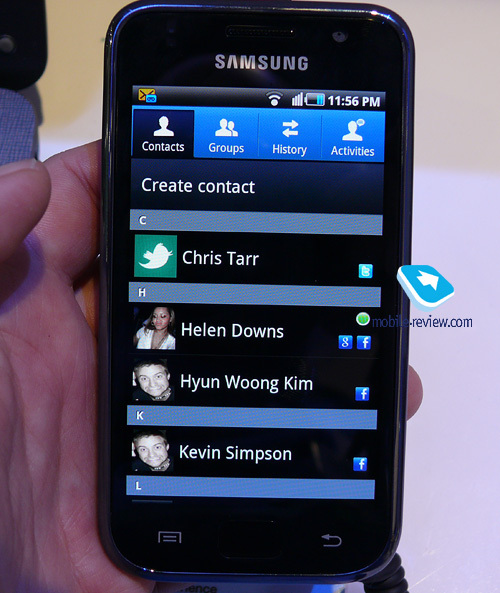 For the EVO functional keys are the same problem as for Samsung Galaxy S; the device is deprived of call receive/reject keys, and the keys that HTC HD2 had are touch-sensitive there – these are the buttons used to return to the main screen and bring up call menu, Back and Search keys placed under the screen. 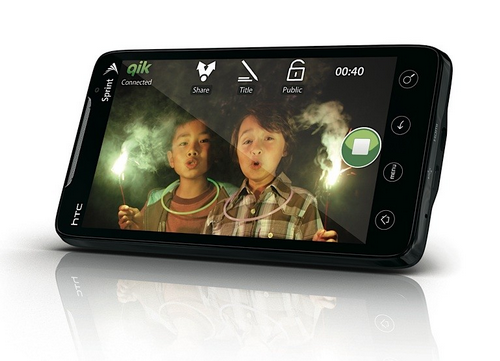 It is the first time HTC equips its devices with 8 megapixel camera and 1GB of ROM. As for EVO’s specific features we should mention the presence of "hot spot" mode, as in HTC HD2, which means, the device can serve as an access point for other devices to be connected via Wi-Fi, taking into account the fact that the EVO features WiMAX, the function should be in demand. Now let us talk a little about the prospects of the EVO idea for other markets. 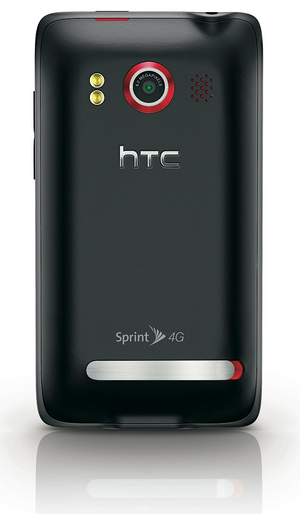 Smartphone HTC EVO 4G is an exclusive for the operator Sprint, as I wrote above. Logically, one would think that anything of that kind won’t appear in Europe and other markets, such as Russia for instance, as the device was designed specially for Sprint. There are two facts against such an opinion however: firstly, HTC is not so large as Nokia and Samsung, to afford the local products for individual operators and countries. Secondly, in confirmation of the first fact, there is an excellent example of HTC cooperation with Yota, Russian 4G operator. 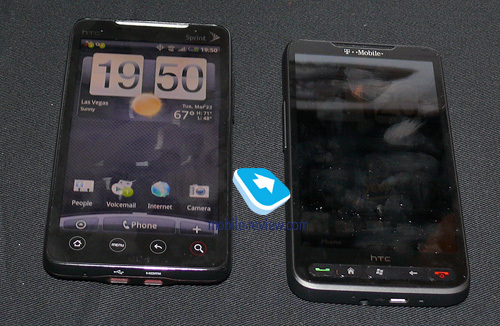 Under Yota’s order a year and a half ago HTC released the communicator HTC MAX 4G, as we remember the exclusive device for Russian market and, for Yota, in particular. However, almost simultaneously with the announcement of the MAX 4G the European market witnessed an announcement of the similar device slightly differing in design and lacking WiMAX-module - HTC HD. I will not say for sure that for HTC EVA 4G the situation will repeat, but all signs suggest it should happen again, perhaps in a slightly different way, for example, the European version will be released after six months or so, with not only design altered, but some specifications as well. The company just has no reasons preventing it from releasing EVO’s analogue for other markets, the only limitation there is HTC Desire, the company current flagship on Android, that just goes on sale in some countries, and apparently is to be the top product in these markets for some period in order to have sales. In the U.S. market the EVO will arrive this summer. There is no information about the price yet. We have nothing to do but to look forward to the company new announcement in order to understand its plans and the way they have changed since the announcement of Samsung, and if so, how dramatically HTC has revised its schedule for replacing one flagship to another. It is difficult to assess HTC EVO prospects, it will be sold on a totally different market, according to quite different contract rules and at different price level so I just sum up everything about the device itself. On the one hand, the company has released apparently, the most powerful Android-based device, in many ways the best on the market as up to date the EVO can be compared only with the Galaxy S. On the other hand, everyone understands, and, hopefully, HTC, too, that by its announcement the company strongly undermines sales of the Desire. 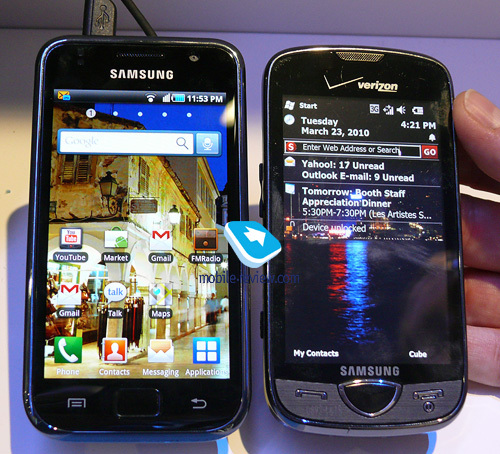 The fact that the EVO was released only for the U.S. market and will not work in 2G-networks is insignificant. The device has been announced, millions of users and owners of other HTC-branded products worldwide will learn about it and doubt whether they should move to Desire, if in half a year or a bit later Europe will see the release of such a device as HTC EVO 4G. Published - 07 April 2010.